Did negligent security contribute to this Atlanta gas station shooting? Gunfire erupted outside an Atlanta gas station Sunday night, March 4, 2018, reportedly leaving several injured. According to the AJC, “officers responded just before 8 p.m. to a…gas station in the 1600 block of Lakewood Avenue.” A 33-year-old man was discovered at the scene and transported to Grady Memorial “with a gunshot wound to the head.” A second victim was apparently discovered seeking help “in a car about a half mile away.” He was also transported to Grady with gunshot wounds. Finally, the AJC investigation reveals a driver “fleeing the scene at the…gas station” was involved in a crash with another vehicle. It is unclear whether either driver was injured in the crash. 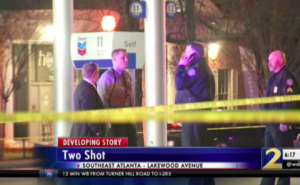 A prior shooting occurred “near the same gas station” the night before, per WSB-TV 2 reports. Did negligent security contribute to this senseless shooting? We represent individuals and families in Georgia who have suffered a tragic loss or injury as a consequence of negligent property security, and we have recovered tens of millions of dollars for our Clients. 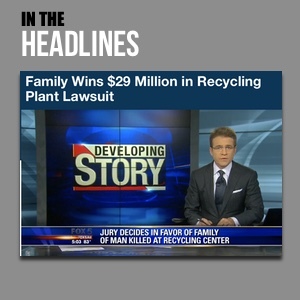 Read Our Legal Take to find out if the victims may have legal avenues for justice and claims for substantial compensation in Georgia, or call now for a free consultation with out legal team: 404.842.1600. Gas station patrons have a right to feel safe and secure while on the premises. The Murray Law Firm questions the level of security provided to those at the property and whether this shooting may have been prevented. What security measures, such as bright lighting, surveillance cameras, clear windows, and security patrols, were in place to protect patrons and deter crime at the time of the shooting? By law, property owners in Georgia are required to protect all those legally on the premises from any foreseeable harm. Should the facts of this matter reveal that the gas station owner or management failed to provide adequate security, the victims may seek justice and elect to pursue legal claims for their injuries.